QA1 Rear Anti-Hop Bars relocate the upper trailing arms to change the instant center of the rear suspension. This will improve the chassis reaction and increases forward bite and traction. The QA1 Anti-Hop Bars are one of the most effective and easily installed traction improvements. Includes graphite/polyurethane bushings. 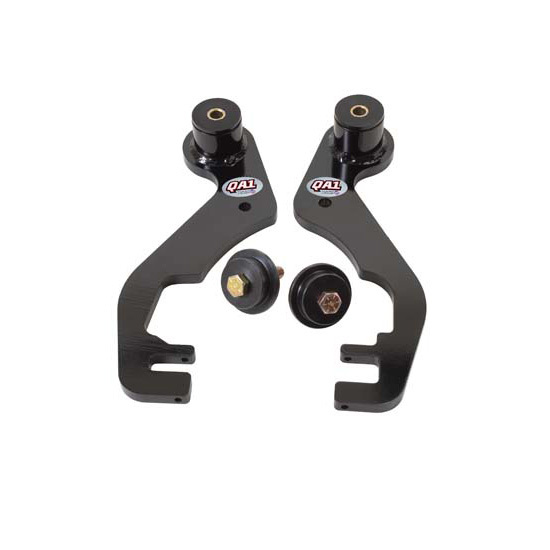 We strongly recommend adjustable trailing arms for maximum adjustability and performance.